Did you know that April 22nd is Earth Day?? Let's celebrate by UPCYCLING, i.e. using and swapping with what we have instead of buying new! These postcards should technically be handmade, but use your creativity in any way you can imagine! You can embellish store-bought cards, use recycled cardboard, paint, sticker, draw, glue... anything! The theme is Earth Day, but feel free to interpret it as loosely as you'd like. All new swappers are welcome to join this international swap! And all experienced swappers with a 4.9 rating, or higher, are welcome. But I reserve the right to remove questionable users! 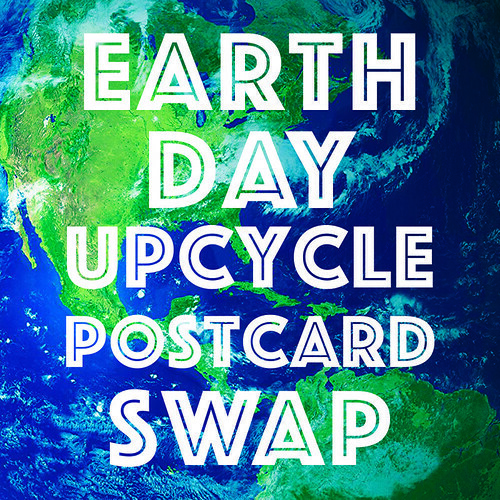 Let's make this a huge swap celebrating our environment and the fun of upcycling! p.s. I DO angel my swaps. At least two weeks after the send deadline (longer if you are receiving from an international partner) if you have NOT received and you HAVE rated your partner honestly with a 1, you can contact me and I will send out an angel postcard. I love this idea, I'm going to keep an eye on it! Im all registered but what do i do next who and how do i swap a card with? @mstori4 sometime on April 19th, or even up to a few days after, @racheljohnson will assign partners and you'll get the two addresses of your partners you send to. You'll see this in the upper right hand corner of this swap screen- a link to click on to see your partners once they are assigned. Thanks for the info. It is really exciting. Do visit www.adaalo.com online classifieds for all your needs. 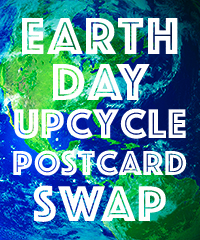 Great idea for handmade postcard celebrating Earth Day. For people who are new and this is their first swap they really should read the FAQ area in full before signing up for any swap on the site. Once partners are assigned, you must return to this page to get your partners' address info. Let me know if you have any other questions. This is an international swap. Doesn't the last paragraph encourage people to rate their international partners down ASAP? @pahasiga - You have a good point. It should have said "at least" two weeks after the send deadline. I have revised it to encourage leaving more mailing time for international participants. I was removed from the swap because I have no profile? Granted I don't have a lot of pictures and gifs but there is a profile on my page. @MarHelene - I am sorry for the disappointment. I would be happy to do a one-on-one swap with you of the same theme! Let me know if you are interested.